The David Archuleta Music Scholarship Campaign 2013 is Here! We are starting our 2013 campaign for The David Archuleta Music Scholarship and would greatly appreciate if you would post this on Monday, March 11. There is a video at the end to embed as well. Oh my heck! It’s that time of year again! 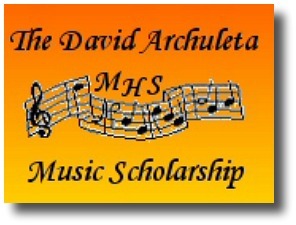 THE DAVID ARCHULETA MUSIC SCHOLARSHIP!!! his HEARTPRINT to pay forward his goodness in so many different ways. to reach out to others while honoring him. their lives while giving to others. back to him for all he has done for his fans and others around the world. as it is a fitting tribute to David and means a great deal to him. This entry was posted on Monday, March 11, 2013 at 12:18 AM	and is filed under @DavidArchie, Appreciation, Art, David Archuleta. Tagged: Inspire, The David Archuleta Music Scholarship, Unite, Uplift. You can follow any responses to this entry through the RSS 2.0 feed. You can leave a response, or trackback from your own site. Thanks for posting the information from the TDAMS Committee. It warms my heart to see a project that is supported by all fans and all fan sites who care deeply for David. Getting a music education while attending public schools is not so easy these days. Imagine having the talent but no means to work to improve that talent? Just made my donation. If you can give only a little, please do. Even $5.00 will help. Just an FYI on the video. If you start it you will see a little gear wheel at the bottom. Click on it and choose the higher quality of 480 to view or you will get grainy images. It’s always good to see good things going on in David’s name. This is a great cause for talented kids. Angelica, have a great week on vacation! I am on the way to work, myself. But will have vacation later. Thanks for the opportunity to contribute to a wonderful cause in David’s name. Looove the video and that it was to When You Believe – both performances, the Idol performance and the studio recording, are perfect examples of his ability to connect. One of my favorite all time D performances. It is great that David fans are still supporting all things David. Music has been proven to help overall achievement in all aspects of development since in the womb. I played music to my babies since conception and I’ve seen the outcome. And it’s never to late. I left music for a while but God placed David in my journey because he knew the need I had for a voice to reach me. 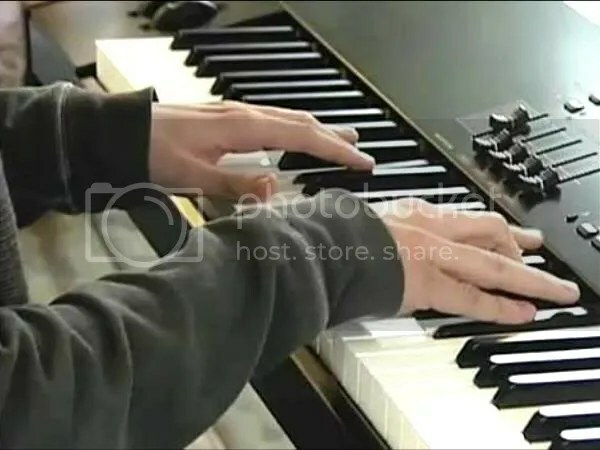 Speaking of hands, this video came up on today’s search. I agree with most of what this man has said in his reading. I have never heard the word ego used in relation to David. I suppose it has to do with his drive to succeed in his singing career. Doing it his way has always been David’s style. Tony missed the mark on the spiritual aspect. David is most certainly spiritual and inspirational. Why else would we be here waiting for him? I wondered why the reading chart is of the left hand but he chose David’s right hand to read. Are hands mirror images or symmetrical? Hmmmmmmmmm. It is there. Look below the top picture. It’s in a “box” with a message from Robin ~TDAMS Committee. #8 Abrra, guess it seems too contradictory – someone so determined to do things his way wouldn’t tend to surrender, spiritually or otherwise. I think he hit the mark on most of it, really fascinating…and exhibits again D’s complexity. Great find! Hey guys. 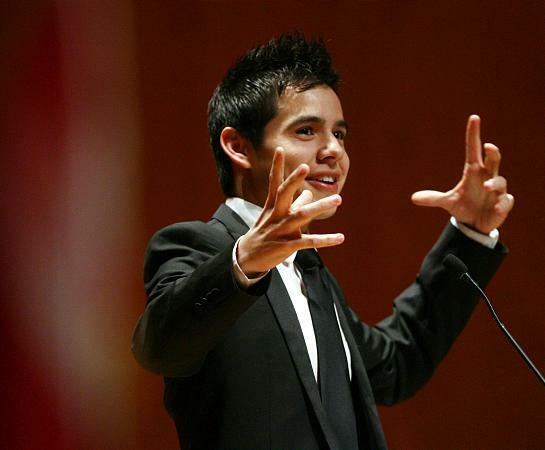 I just wanted to say a huge THANK YOU on so many levels for your support of The David Archuleta Music Scholarship. I agree with all of the comments here. Music has been a part of my life since birth and I’ve felt so honored to be a part of this now annual scholarship program. It’s fans (and friends) like you who help to keep it going. I will never forget those 2 tweets about it the first year we were able to give out scholarships in David’s name and to honor him. So thank you so much for your support. It means a lot. p.s. So sorry to have forgotten to add the website!! As Abrra stated above it is http://www.thedavidarchuletamusicscholarship.org. #8 Interesting palm reading video. According to Chinese palmistry principles you should read the left palm of a young man and the right palm of a young woman for primary analysis. The opposite palm is read for supplementary analysis. When they grow older, the right palm becomes more important for the man and the left palm for the woman. It’s believed that the left palm shows what a man is born with and the right palm shows what he grows into. The opposite is said to be the case for a woman. Thanks Angelica – for the beautiful video to go along with this worthy cause. People will (ans are) finding it on youtube who would otherwise never see anything about the scholarship. I just plugged in my husband’s new iphone 5 ear buds….they are a step above the 4. I don’t believe that there is anyone in the industry who sounds more remarkable, more like an instrument. Truly amazing. You hear every tiny purity of sound, every vibrato that few can deliver. Thank you for the message David. I could spend the rest of your time away patiently waiting if we only had messages. We have the music. Thanks for the info, Angelica. It’s nice to see fans doing something good in David’s name. We all know that helping young people to follow their dreams is a cause close to his heart. Great job on the video, too! Thanks for giving us a little background on the palm reading. Intersting stuff! My grandson received some Beats headphones for his bday, very pricey. He brought them over and plugged them into my ipod. “He” then selected Don’t Run Away for me to listen 🙂 Let me tell you that David’s voice almost sounds live. You could hear every nuance, the texture and tone of his voice like if he was singing in your brain. I tell incredible. I must own a pair. My grandson got a pair of Beats for Christmas and I know what you mean. All the ‘sweet spots” take on a life of their own, don’t they? You really can hear, so clearly, all the special little things he adds to every song. Sorry, guys, I guess it sounds like I just can’t let go of Heart Falls Out. Well, I guess I can’t. haha It has such a great rhythm to it along with his gorgeous voice. It’s just so good! I could easily see a couple dancing to in on So You Think You Can Dance. Wouldn’t that be something!?! Nandito Ako tonight 10PM Eastern! MT, I agree with you 100% about HFO!! Can’t stop listening to it either! I got some Beats for Christmas and have to agree with you, they are amazing! 16…Abrra…That’s how I found my quote, I was looking for the previous one that was there from David. 🙂 And I love it in blue, my favorite color along with one of my favorite pictures of David! 🙂 Thanks again!! 17…Love hearing from David today! ♥ It’ just a little something to me knowing that he still is around…gosh I miss him!! 18…Fenfan, thanks for the very interesting explanation on the hand reading. Angelica, the video is soooo good! And that top picture!!! And Abrra’s #1 picture.. gorgeous hands(yeah, I’m calling a man’s hands gorgeous!)!! We finished watching another complete “Nandito Ako” tonight. With each viewing, we see things we didn’t see before and pick up dialogue we missed in translation. We had 15 on board tonight so it’s evident that here’s still an interest in seeing this miniseries. It’s nice to get together on Tuesday nights for two hours with friends and David. We will take one week off and start up again on Tuesday, March 26. Why does that date sound familiar? It’s the date David’s new CD hits the stores. There will be much to talk about! Angelica, I very much enjoyed your video. Such a reminder of the power of music in young lives and the power of David. Somehow tonight I found myself watching his mission announcement and the Oh Holy Night that followed. I hope everyone has now seen it, though I know it was something many couldn’t watch. I don’t think I have ever seen anything even similar. Such stark emotion is rarely seen, especially in such a public situation. He is such an amazing person; so open in showing us the joy and pain he was feeling, and then to share it even more with that incredible performance. I really cannot imagine my life without “the life” David adds to it.